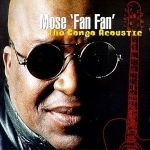 Mose Fan Fan is one of The Congos leading guitarists and came to prominence as a solo guitarist with Luambo Franco's OK Jazz before leaving Zaire via East Africa to explore the rest of the world. 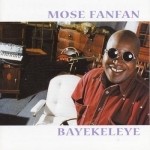 In his wide-ranging career Fanfan has played with OK Jazz, Lovy du Zaare, Orchestre Mi, Orchestre Makassy, Orchestre Matimila, Orchestre Maquis, and several incarnations of Somo Somo. After playing his trade in Rickem Jazz, Orchestre Baron and Revolution, Fan Fan was recruited into OK Jazz in 1967 as second lead guitarist to Franco. With' OK Jazz he rehearsed and played solo guitar on many hit songs of that period, although Franco himself generally took the solo part on record. In 1970, Fan Fan and OK Jazz sax player Dele Pedro did a little `nzonzing' (freelance recording sessions) which included the first two songs on Belle Epoque. These are classic Congo-rumba. Along with some of the OK Jazz hands were members of Johnny Bokelo's band, including Bokelo's and Dewayon's brother Porthos Ebengo, on guitar accompaniment, and singers Jean-Pappy and Passi Jo (later together in Kas Kas). 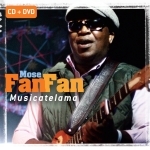 Fan Fan went on to form Orchestre Matimila, where he was joined by Ongala before moving to Kenya where he founded another version of Somo Somo, and recorded songs which later appeared on Belle Epoque a retrospective album of songs from the period 1970 - 1982, from Kinshasa to Nairobi via Dar Es Salaam In Nairobi in 1983, Fan Fan met up with British hit artiste Robin Scott who produced an attempted crossover hit Jolie Africa, with Doreen Webster on vocal. 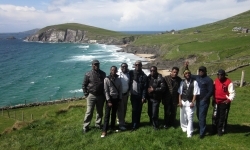 The project inspired Fan Fan to visit Europe to find musicians to maintain the momentum of Somo Somo. A more recent reunion with old colleagues in Bana OK revived his musical commitment. As well as developing new music, he has revisited his old East African stamping ground. 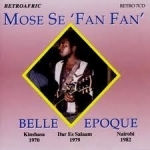 Belle Epoque, the first volume of Fan Fan's `greatest hits' is a welcome souvenir for those who recall the `Belle Epoque' of Lingala rumba. 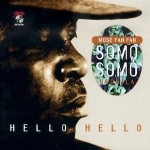 In 1995 Somo Somo released Hello Hello, a lively collection of up-tempo 'Maringa' songs, the sound of Bana Lipopo (the youth of Kinshasa). Maringa, the Congolese version of Palm Wine music later gave birth to The Congo's much loved Soukous.